This process is more fun than you can imagine! So easy, relaxing and creative. Pick your colors, mix in cups, pour onto the canvas and watch the magic happen. 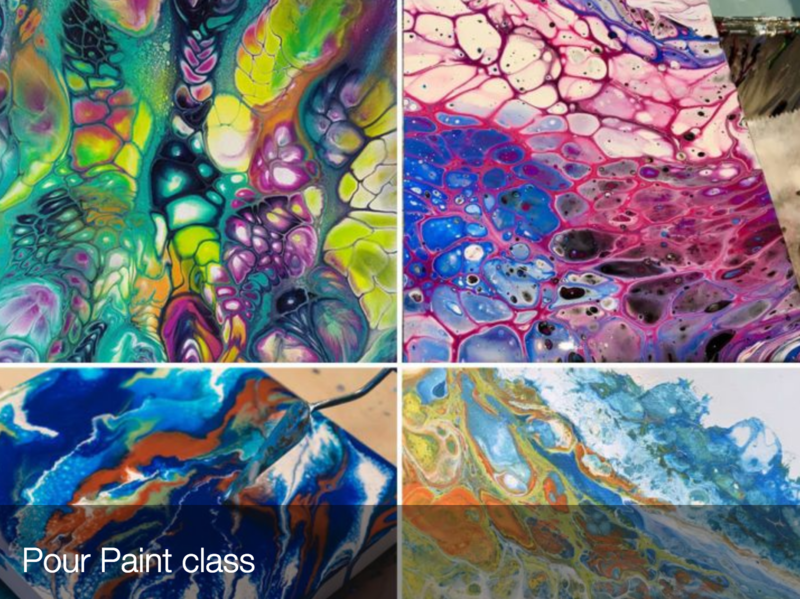 In this 2-hour class students will see a demonstration of the techniques of Pour Paining, learn some tricks and tips and then create their own. An 8 x 8 painting will be poured by each student to be picked up in 5 days when dry and sealed.